Deputy Mayor Coun Claire Cozler and Mayor of Lancaster Andrew Kay. The new mayor of Lancaster officially donned his robes at a ceremony on Friday May 11 in the Ashton Hall. Coun Andrew Kay took over as the Right Worshipful the Mayor of the City of Lancaster from Coun Roger Mace in a centuries old tradition. Coun Kay was first elected to the city council from 1995 to 1999. He was elected again in May 2007 to represent the Bulk ward, and has served on the city council ever since. Coun Kay grew up in Bracknell, Berkshire, where he attended Windsor Grammar School. In 1972 he came to Lancaster University and graduated with a BA (hons) degree in philosophy and religious studies. He then worked in various seasonal jobs on Morecambe promenade and as a psychiatric nurse at Lancaster Moor Hospital from 1977 to 1980. 1n 1980 he returned to Lancaster University to study to become a social worker, qualifying in 1982. He has since worked as a social worker and family support worker, initially for Cumbria and then Lancashire County Council, before retiring last month. During his mayoral year he will be supported by his deputy mayor, Coun Claire Cozler. The Mayor’s chosen charities for his year in office are St John’s Hospice and Lancaster & Morecambe City of Sanctuary. Reflecting on becoming mayor, Coun Kay said: “I am delighted to have the opportunity to serve as mayor. 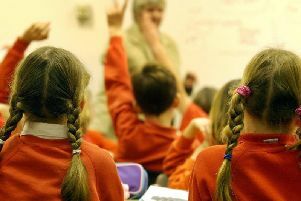 Why are more children being excluded from Lancashire's schools?